Halo has juvenile cataracts, a condition that will get progressively worse until she eventually goes blind. An operation exists to remove the cataracts, but she needs your help to get this surgery. Will you help? 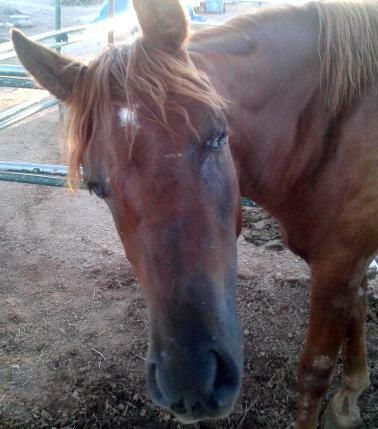 Halo is an Arabian filly who came from a bad situation. She was one of a group of 15 horses that needed to be rescued, all of which are currently being re-homed. AJHR has given Halo a second chance, but we’ll need donations to help Halo reach her full potential. Any amount will help Halo- nothing is too small. If you want to help, you can do so by going to our website, www.ajhorserescue.org and using Paypal for a direct donation or you can mail a check to the address found at the top of this flyer.If you prefer, you can come see Halo at the rescue (please call first) and leave a donation in person. Seven has returned to AJHR. He was Glenda's first horse and was absent for the last 3 years. He is one of the greatest horses as his life started out as a Mexican ranch horse, than a dude ranch horse, than a horse used to train people on how to ride. Seven is also bilingual, and a touch of humor in him. 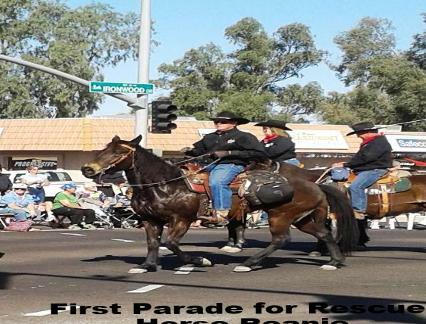 Most people that know him stated he was on of the best trail horses bar non. 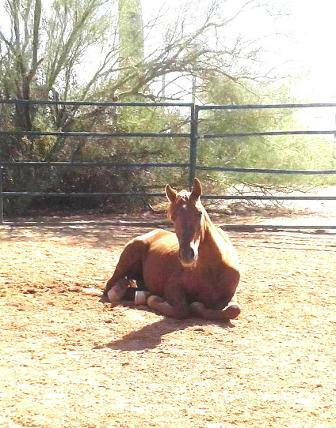 Seven is about 25 years old now with a touch of arthritis and will enjoy full retirement at Apache Junction Horse Rescue. Seven and his amigo Rusty share a special bond that only few horses will ever know.